Josh Blumenreich’s path to his current standing as one of Arizona’s most respected defense attorneys is a unique one indeed. Educated at the State University of New York at Albany and at the Benjamin N. Cardozo School of Law at Yeshiva University, Josh Blumenreich cut his teeth as a prosecutor in the Maricopa County Attorney’s Office before choosing to become a defense lawyer. Today, his track record of success combined with his impressive and unique education and training have earned him universal respect as a Phoenix defense lawyer within the Arizona legal community. Equally worthy of respect is a style that combines intellect, toughness, compassion and trust in fighting for the best possible resolution in each case. It’s no wonder so many have turned to Mr. Blumenreich to represent them as their criminal attorney. Now consider the potential life-altering consequences of a conviction. In such instances you need a tough, aggressive, hard-nosed advocate who will approach your case with the passion it deserves. 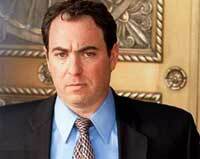 Josh Blumenreich is one such attorney, and given his background it is no surprise. Being trained in New York has its advantages, among them the fact that you learn to become tough quickly, and to fight effectively for the protection and enforcement of a client’s rights. It is a toughness that has served Josh Blumenreich well, and when combined with his vast knowledge of Arizona law and practical experience, has contributed to an outstanding record of success. The respect Mr. Blumenreich has garnered within the legal Arizona legal community has made him an in-demand speaker as well. In a time of chaos in their lives, a defense attorney that can be trusted and counted on is nothing less than a lifeline for those facing criminal charges. When your financial freedom, and your very freedom itself, is on the line you can trust the Blumenreich Law Firm to provide you with a focused, passionate, and well-informed defense. Visit www.phoenixarizonacriminallawyer.com today and schedule your consultation with Josh Blumenreich, and begin the progress of mounting an aggressive, hard-nosed and well thought-out defense.